One-hundred years ago, campaigning over Australia’s second conscription referendum was at its bitter and divisive peak. As casualty lists on the Western Front soared, Australians twice voted to reject the introduction of conscription – compulsory enlistment into the armed services. From 1914, enlistment in the Australian Imperial Force (AIF) was restricted to volunteers but, from the middle of 1916, recruiting eligible men became increasingly difficult. Prime Minister Billy Hughes came under sustained pressure from Britain’s War Council to follow Britain and New Zealand in introducing conscription. In August 1916, Hughes said voluntary recruiting could not maintain Australian forces at full strength. The eight-week conscription campaign split communities throughout Australia, especially as it was held during the Battle of the Somme which, according to historian Joan Beaumont, infused the debate ‘with the passion and hysteria of mass grief’. The first referendum on 28 October 1916 saw conscription defeated with 48.4 per cent in favour and 51.6 per cent against. In 1917, as the death toll in France and Belgium grew, and the United States and Canada introduced conscription, Hughes called another vote for 20 December, declaring that 7000 recruits were needed each month. By this time, Hughes had left the Labor Party and joined the Liberals to form the Nationalist Party. He had won the May election and incurred the wrath of the working class by breaking a national strike. The second referendum, held during a period of tightened censorship, was again divisive, with Melbourne’s Irish-born Catholic Archbishop, Daniel Mannix, a vehement ‘no’ campaigner. Mannix denounced the war as ‘just a sordid trade war’ and one of his rallies attracted a crowd of 100,000. Catholics, who were mainly of Irish descent, were accused of being anti-Empire and rejecting the war effort. Australia again voted ‘no’, by a wider margin of 94,000 votes. Soldiers were split too: 103,789 voted ‘yes’, while 93,910 voted ‘no’. The AIF remained a voluntary force and Joan Beamont found this status fuelled the myth of the Australian soldier as a citizen in arms – ‘not a professional soldier but a natural fighter’. The eight-week conscription campaign split communities throughout Australia, especially as it was held during the Battle of the Somme which infused the debate with the passion and hysteria of mass grief. By the end of the war, about 420,000 Australians had enlisted – 38.7 per cent of men aged 18 to 44. Initially, eligible men had to be 19 to 38 years old at least 5ft 6in (168cm) to enlist. A third of all volunteers were rejected in the first year, many with dental issues. As the war progressed, and the need for new recruits increased, recruitment standards were relaxed. By June 1915, soldiers could be aged 18 to 45. Two years later, the minimum height was reduced to 5ft (152cm). Later, 16 new battalions were created, comprising veterans of battalions that were severely depleted – and new recruits. Reports of Australia’s losses at Gallipoli prompted 152 Victorian men to enlist. They became known as ‘The Fair Dinkums’ and departed in August 1915. As Australia’s troops moved to France – and the death toll rose and Australians became increasingly concerned about their country’s involvement – the government relied on various means to recruit more men. Artist Norman Lindsay was commissioned to produce a series of recruitment posters to promote nine ‘snowball’ marches from late 1915. These campaigns gathered men along country roads and assembled them into recruitment camps. In New South Wales, they included the Coogees from Gilgandra, the Wallabies from Walgett, the Men from Snowy River from Delegate, the Waratahs from Nowra, and Kangaroos from Wagga Wagga. In Queensland, the Dungaree men marched 270km from Warwick to Brisbane. Robin Archer, Joy Damousi, Murray Goot and Sean Scalmer, eds. The Conscription Conflict and the Great War. Clayton, Vic. : Monash University Press, 2016. A newspaper cartoon showed Billy Hughes with egg on his face after the Prime Minister was publicly assaulted in Warwick, Queensland. 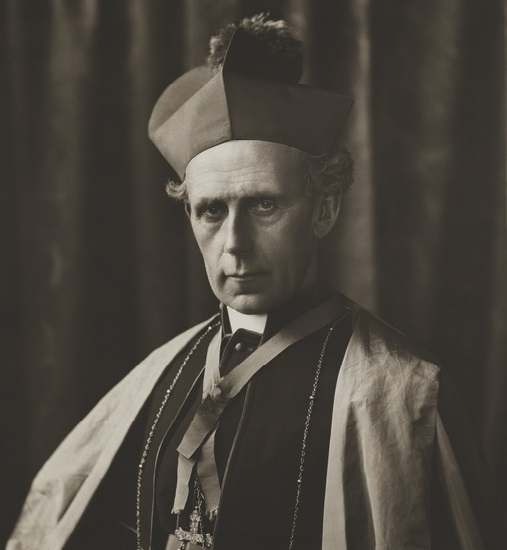 Melbourne's Irish-born Catholic archbishop, Daniel Mannix, was a vehement protester against conscription (AWM P01383.001).